"So we're supposed to be debt collectors, yeah? We didn't collect anything." An official international trailer has debuted for an action comedy titled The Debt Collector, which is the same title as a 1999 film starring Billy Connolly & Ken Stott. 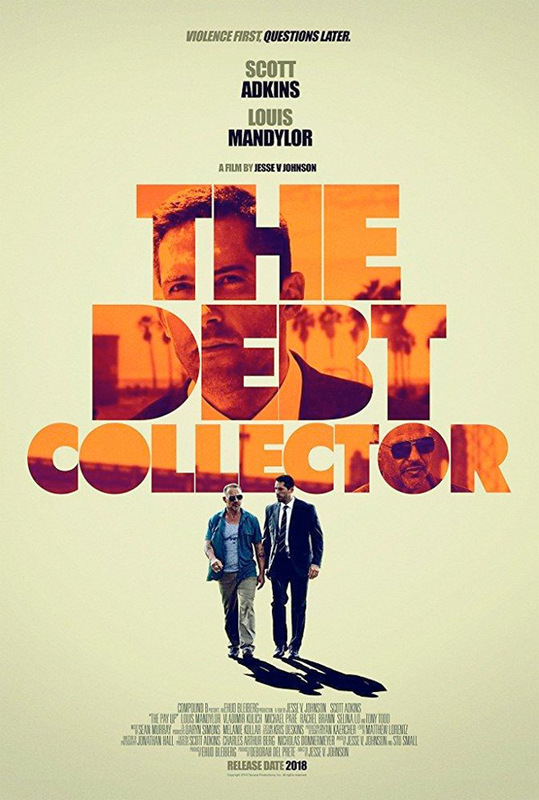 This new The Debt Collector is executive produced by and stars Scott Adkins, who plays a classically-trained martial artist who takes a job as a debt collector for the mob. The typical plot involves a client that "pulls him into a situation deeper than could ever be expected." Also starring Louis Mandylor, Michael Pare, Tony Todd, and Vladimir Kulich. This looks like a crazy violent, awkward dark comedy, buddy movie and I'm not sure if that's a good thing. Could be good, could be bad? Take a look. A classically-trained martial artist (Scott Adkins) goes to work as a debt collector for the mob. The job seems easy enough, until one "client" pulls him into a situation deeper than could ever be expected. The Debt Collector is directed by English filmmaker Jesse V. Johnson, a former stuntman now directing films including The Honorable, Pit Fighter, The Last Sentinel, The Fifth Commandment, The Butcher, The Package, The Beautiful Ones, Savage Dog, and Accident Man previously. The screenplay is written by Jesse V. Johnson and Stu Small. This has not premiered at any film festivals or otherwise. It will arrive on DVD in Germany first, starting in April. No official US release date is set, but it's expected to arrive sometime this summer. Stay tuned for more updates from here. Who's interested so far? Want to see more from this film?